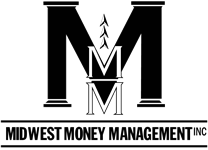 About Us | Midwest Money Management Inc.
Midwest Money Management Inc. is a full-service, fee based financial planning firm located in Lakeville, Minnesota. We have been proudly serving individuals and families in the greater Twin Cities area since 1999. We are committed to helping people pursue their financial goals and offer a wide range of financial products and services. Our approach to financial planning and investment management is the result of nearly 20 years of industry experience. Providing our clients with the knowledge, tools, and confidence to feel comfortable financially today and prepared for tomorrow is our mission. Our firm will treat your finances with the same level of care and attention we do for our own friends and family. We begin by ensuring a mutually beneficial partnership. Working with the right financial advisor, is just as important as deciding to plan for your financial future. Prior to making any commitments, we meet with potential clients for a compatibility consultation. This is a time for you to ask questions, address concerns, and become comfortable with our team. The purpose of this consultation is to determine if we are the right fit for each other. We strive to build lasting relationships with our clients that are rooted in mutual trust and respect. If the decision to work together is made, you will find that our commitment to care and attention includes an open line of communication between you and our team. Taking time to educate our clients is essential. As financial advisors and investment professionals, we realize that not everyone understands finances the same way we do. We are committed to providing information and resources to our clients, so they never feel cornered into making a decision they don’t fully understand. In addition to direct one-on-one communications, we also educate our clients through our Weekly Market Commentary and multiple annual client events. While developing your customized financial plan, our team will walk you through a step-by-step process and provide you with the knowledge to make great financial decisions. There are a lot of pieces to your finances. Let us help you secure a complete picture with our Wealth Management Organizer. Over the course of our relationship we will use our Wealth Management Organizer to systematically check off over 50 different pieces that combine to form a picture of your financial health.